Work-form is a design studio founded by Camberwell BA Graphic Design graduates Charlie Abbott, Jake Hopwood and Alex Hough. The college has fantastic print resources and technicians, as well as a great sense of community. Many of the tutors and alumni were designers and practitioners that we greatly admired. 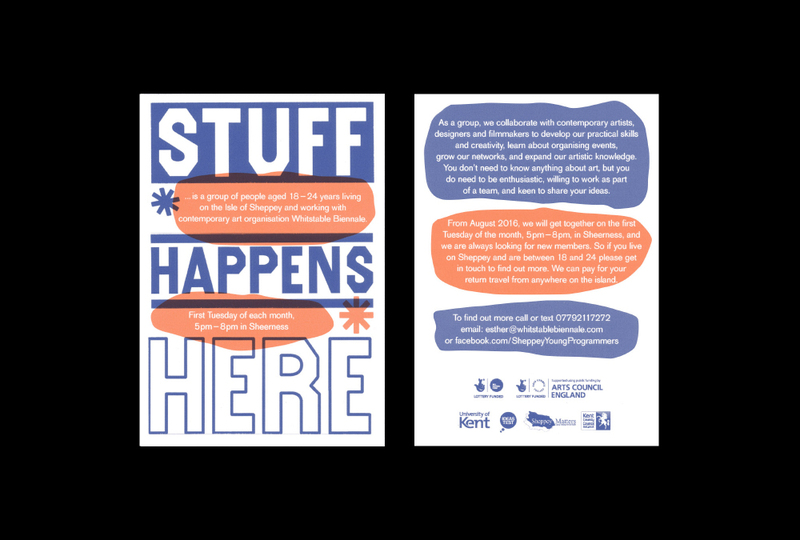 Most importantly for us was the ideas-based learning that Camberwell's graphic design course promoted, offering an opportunity for flexibility and freedom to experiment. What was the first job work-form took after graduation? Whilst Charlie was finishing his degree in 2012, Jake and Alex continued to work within the college having been invited to work for Camberwell Press. During this time, we began to collaborate on freelance work with artists, charities and companies designing publications, identities, websites and teaching projects, formalising this relationship into work-form. We currently share a studio with Camberwell Press, for whom we act as Project Managers, taking care of the production of a wide range of print design. We've also taken on permanent roles as Camberwell BA Graphic Design associate lecturers, as well as running shorter one-off projects with BA Illustration. How did studying at Camberwell inform your work? We found the atmosphere of experimentation and questioning vital in encouraging collaborations and looking for alternative methods of producing work. Use of the letterpress has also greatly shaped our approach to typography and typographic detail. And what was the best advice you were given at Camberwell? A tutor once told us that if we treated our time at Camberwell as a 9-5, five-day a week job, there shouldn't ever be a need to finish course work in the evenings or at weekends. A good studio culture is at the heart of a good graphic design studio.